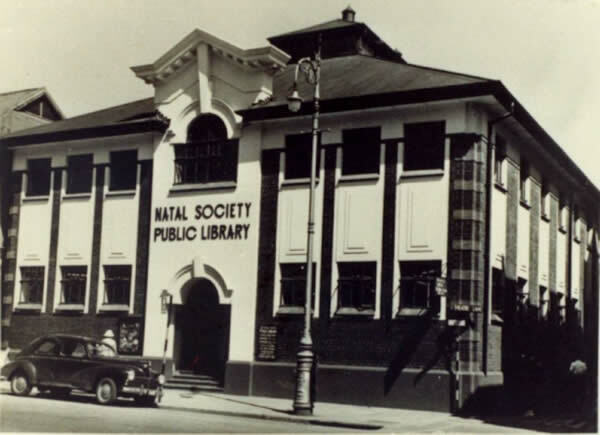 The Natal Society has been an important community organisation in Pietermaritzburg for more than 160 years, since the city was a small village with a population of less than 1 500. Although best known today for establishing and running the country's largest privately owned public library system, the Natal Society also gave birth to the Natal Museum, the Royal Agricultural Society, and the Natal Society Drama Group. 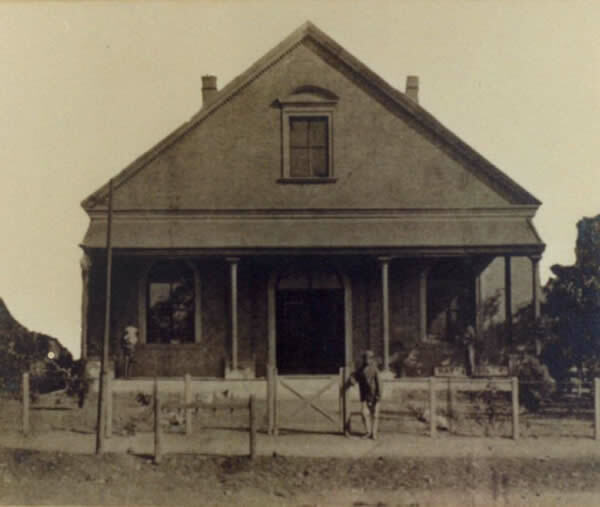 It started life as the Book Society of Pietermaritzburg with a reading room, small library and beginnings of a museum in 1846. Earlier that year an outspoken young journalist from the Cape, David Dale Buchanan, arrived by ox wagon with a battered second-hand printing press to found what would become the country's oldest surviving newspaper, the Natal Witness. A strong proponent of public education he became secretary of the Book Society and within three years had persuaded his fellow committee members to convert it into Pietermaritzburg's first Public Library in 1849. Despite Buchanan's zeal, public interest flagged for some years and subscriptions barely paid the rent of a small hired room for the nucleus library and museum. Most of the books on its shelves were loaned, the bulk coming from the personal collection of a founder member, the first British Commissioner, Henry Cloete, later to become first Judge President of Natal. In 1850 the society was only able to make one purchase, The Listener, a two-volume set of dreary educational essays by Caroline Fry. In May 1851 the Natal and East African Society was launched, later shortened to the Natal Society, with a mission "to tell the truth" about conditions in the colonies. At the time thousands of British settlers were being lured to Africa by inflated promises of the good life to be had overseas, only to encounter hardship and struggle. In 1851 the Society also organised the first in a series of annual agricultural shows and the Agricultural Society was born, becoming the Royal Agricultural Society in 1905. By 1865 the Natal Society had absorbed the Book Society and had decided on a new purpose - the "acquisition and preservation of information of local value and interest, and the general encouragement of habits of study, investigation and research". A committee was established to begin a formal museum collection. After years of struggle and moving from one hired premises to another, things took a turn for the better in 1876 when the society held a fund-raising grand bazaar and colonial exhibition which raised 2 000 guineas (about R27 000). With this the Society was able to purchase erf 20 off Longmarket Street, down Theatre Lane, in 1876, and erect a library and museum which were opened to the public in February 1878. While its focus was on the library, considered the best public library in the colony, its museum collection was also growing rapidly and in 1886 the Society appointed J.F. Quekett to curate and organise the collection. When Quekett left in 1895 to become curator of the Durban Museum, he was succeeded by F.W. Fitzsimmons, a herpetologist, who went on to establish the Port Elizabeth Snake Park in 1903 and the Fitzsimmons Snake Park in Durban. Battling for space, the Natal Society persuaded the Natal Government to take over the museum from the Society in 1901. The specimens were moved across to the new government-built Natal Museum in Loop Street in time for its opening in November 1904. With the coming of Union in 1910, the Natal Society library received formal recognition as one of South Africa's four major libraries granted Legal Deposit status, in which a copy of every book published in South Africa had to be lodged for copyright and archival purposes. The library had to be expanded to cope with the fast-growing copyright collection and a new double storey building was added to the front of the Longmarket Street premises in 1929. The Natal Society Library in Longmarket Street photographed in 1954. The two storey building was built in 1929 and served as the city's main library until 1975 when the library moved to its new premises behind the City Hall. Increasing pressure for book space and to accommodate readers led to the acquisition of two further buildings: the Lambert Wilson students' library in Longmarket Street, donated in 1957, and the Weinronk building in Commercial Road leased from 1963 to house the copyright collection. The Market Square branch of the Natal Society Library photographed in 1963. Donated to the Society in 1957, it was known as the Lambert Wilson children's and student library until 2004 when these facilities were moved to the main library building and adjoining new Children's Library. The library's main income for salaries and book purchases continued to come from members' subscriptions until, in 1967, it became a free lending library. This was made possible by an agreement with the municipality which from then on undertook to finance the library. 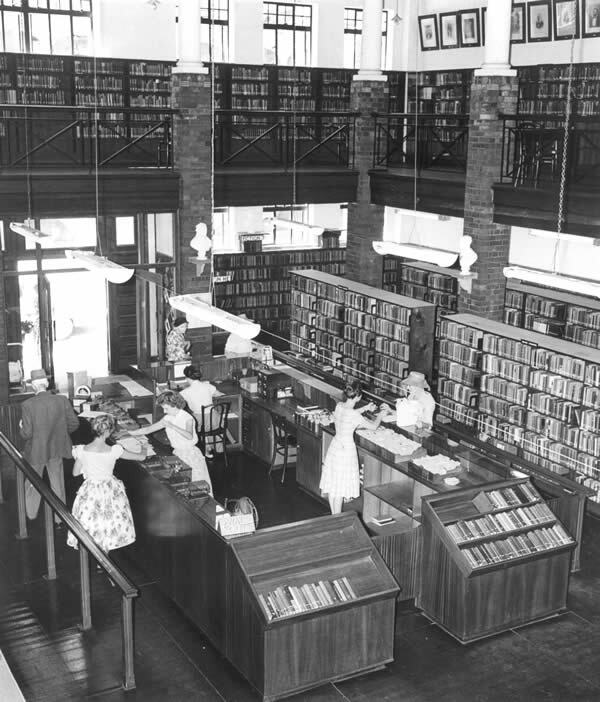 The Longmarket Street premises remained the city's library until 1975 when the new library built by Pietermaritzburg City Council in Church Street, behind the City Hall, was opened. The Longmarket Street library building was taken over by the Council and subsequently acquired by PADCA. The driving force behind the free library and the new building was two dedicated women: City Councillor, and later Mayor, Miss Pamela Reid, who also served on the Council of the Natal Society for 33 years, and Miss Sue Judd who was Chief Librarian for 24 years. The Natal Society successfully resisted a take-over bid from Province during the 1980s and also resisted attempts by the Nationalist Government to exclude black residents from sharing library facilities with white residents, ensuring that the Natal Society Library remained an open library system available to all residents, irrespective of race, throughout the apartheid years. Despite political interference the Society also opened further branches in Georgetown, Woodlands, Eastwood, Northdale, Sobantu and Ashdown to ensure that disadvantaged communities could have easier access to library facilities. On April 1, 2004, the year that the Natal Museum celebrated its Centenary Year, the Natal Society finally relinquished its control over the city's 153-year-old library system, transferring the library and its staff to the Msunduzi Municipality. Crippling rising costs of staff salaries and book purchases had made the decision inevitable. Church Street, behind the City Hall, in 1975. The building was financed by the Pietermaritzburg City Council. To the right is the latest addition, the Children's Library, built in 2004. On 1 April 2004 the main library and its eight branches were transferred by the Natal Society to the municipality as the Msunduzi Municipal Library Services. In June 2005 the main library was renamed the Bessie Head Library after one of the city's most famous writers. The Natal Society, which continued as the Natal Society Foundation after transferring the Society library system to the municipality in 2004, remains dedicated to the original aims of the society ("the general encouragement of habits of study, investigation and research"). The Foundation awards scholarships to needy students, assists with book and pamphlet publication costs and continues to publish and promote the important historical journal, Natalia, founded in 1971. 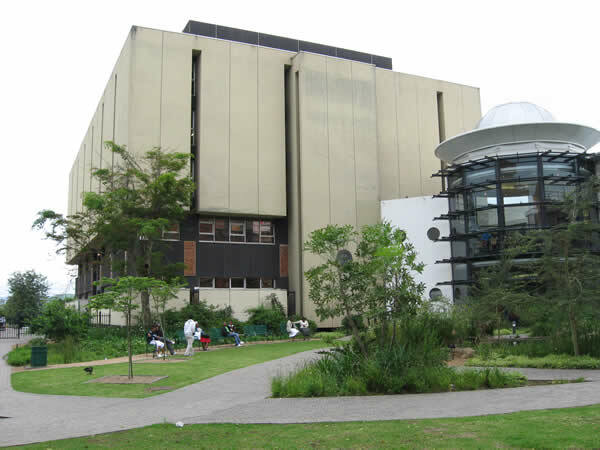 The Foundation is closely associated with the Alan Paton Centre and Struggle Archives at the University of KwaZulu-Natal where it maintains its important NSF Special Collections library: the bequeathed O'Brien, Hattersley and Natal Society Africana collections of old Natal books and documents.